Cork South West Minister Jim Daly has said the investment of two million Euros by Enterprise Minister Heather Humphreys in Ludgate hub is another example of; ‘’this governments determination to bring jobs opportunity and enterprise to rural Ireland’’. The Minister said; ‘’The government has seen the fantastic work already done by Ludgate Hub which took over an abandoned bakery and turned into a beacon of enterprise and opportunity. Mr Daly commended Ms Humphreys for her interest noting; ‘’it is a long way from Cavan to Skibbereen, but the problems and opportunities faced by both are the same. Heather has offered a listening ear to representations and a recognition of what can be achieved in rural Ireland with investment in infrastructure’’. We hear, Minister Daly said, ‘’a lot of rethoric and bad news stories about rural Ireland. Today offers the real story. 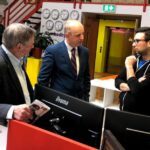 Fifteen hundred jobs to be created by enterprise, innovation and the digital age with Ludgate hub and Skibbereen being at the centre of it all’’. The minister continued; ‘’Todays investment is an example of the philosophy of ‘build it and they will come’ in action. The government is supporting in deeds and actions the entrepreneurial spirit of the people. The age of Digital brings its problems, but the plus side is there are no geographical boundaries to enterprise and development’’. ‘’Today’s announcement indicates that far from abandoning rural Ireland we are rebuilding it. I will continue to agitate for investment into Ludgate and similar enterprises. Skibbereen may not be San Francisco, but in terms of quality of life, affordable housing, schools and facilities it certainly can compete’’. The minister said; ‘’in welcoming todays investment we should also recognize the courage and imagination of the Ludgate pioneers who have created and will continue to develop this unique concept where a small town in West Cork has become a blue-print for rural innovation’’. 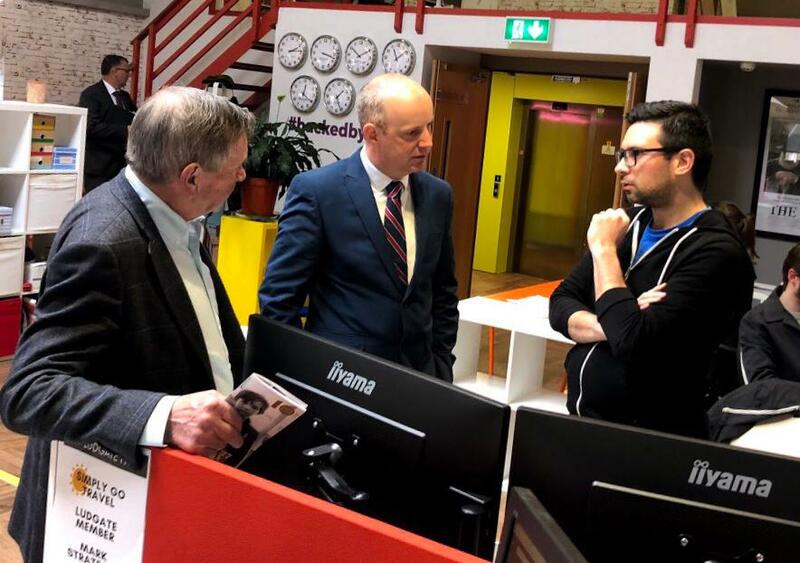 ‘’Ludgate hub has previously noted digitisation of rural Ireland is akin to the electrification of Ireland and the lights are certainly on today in Skibbereen’’, the Minister concluded.